Kenny’s Great Pies Issues Allergy Alert On Undeclared Wheat In "Kenny’s Buckeye Pie"
Kenny’s Great Pies, Inc. of Smyrna, GA, is voluntarily recalling its 22 ounce packages of "Kenny’s Buckeye Pie" because they may contain undeclared wheat. 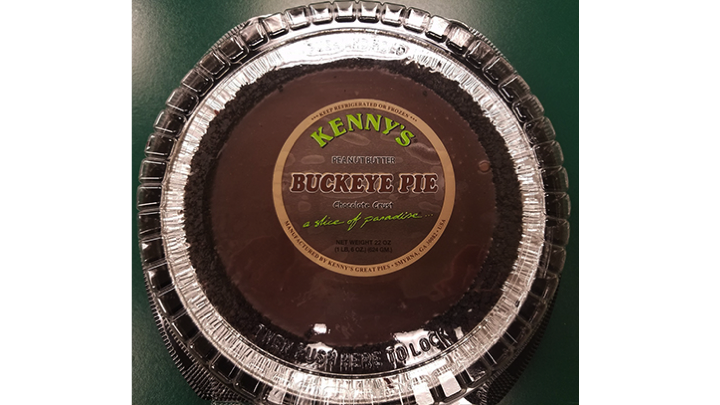 Kenny’s Great Pies, Inc. of Smyrna, GA, is voluntarily recalling its 22 ounce packages of "Kenny’s Buckeye Pie" because they may contain undeclared wheat. People who have an allergy or severe sensitivity to wheat run the risk of serious or life-threatening allergic reaction if they consume these products. The recalled "Buckeye Pies" were distributed in retail stores in the Ohio area and have the product UPC# 7 11276 50277 7. All affected product has been removed from distribution and off store shelves. The product comes in 22 ounce, clear plastic package with a black base. The recall was initiated after it was discovered by an employee of a retailer that the wheat containing product was distributed in packaging that did not reveal the presence of wheat. Kenny’s Great Pies subsequent investigation indicates the problem was caused by a labeling production error. Consumers who have purchased 22 ounce packages of "Buckeye Pies" between the dates of 8/26/2017 and 10/16/2017 are urged to return them to the place of purchase for a full refund. Consumers with questions may contact the company at (770) 333-0043 Ext. 113 Monday through Friday between the hours 8am-5pm EST.